The town was sacked in 1338 by French, Genoese and Monegasque ships (under Charles Grimaldi, who used the plunder to help found the principality of Monaco). On visiting Southampton in 1339, Edward III ordered that walls be built to 'close the town'. The extensive rebuilding—part of the walls dates from 1175—culminated in the completion of the western walls in 1380. Roughly half of the walls, 13 of the original towers, and six gates survive. 630 people lost their lives as a result of the air raids on Southampton and nearly 2,000 more were injured, not to mention the thousands of buildings damaged or destroyed. Pockets of Georgian architecture survived the war, but much of the city was levelled. 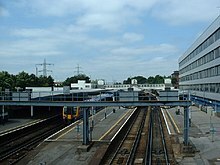 There has been extensive redevelopment since World War II. Increasing traffic congestion in the 1920s led to partial demolition of medieval walls around the Bargate in 1932 and 1938. However, a large portion of those walls remain. 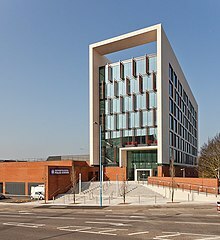 The city has a Mayor and is one of the 16 cities and towns in England and Wales to have a ceremonial sheriff who acts as a deputy for the Mayor. The current and 796th Mayor of Southampton is Stephen Barnes-Andrews. Peter Baillie is the current and 581th sheriff. The town crier from 2004 until his death in 2014 was John Melody, who acted as master of ceremonies in the city and who possessed a cry of 104 decibels. 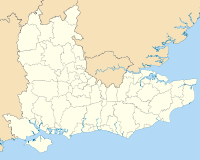 The geography of Southampton is influenced by the sea and rivers. 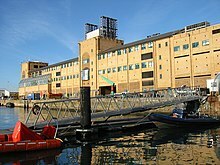 The city lies at the northern tip of the Southampton Water, a deep water estuary, which is a ria formed at the end of the last Ice Age. Here, the rivers Test and Itchen converge. The Test—which has salt marsh that makes it ideal for salmon fishing—runs along the western edge of the city, while the Itchen splits Southampton in two—east and west. The city centre is located between the two rivers. 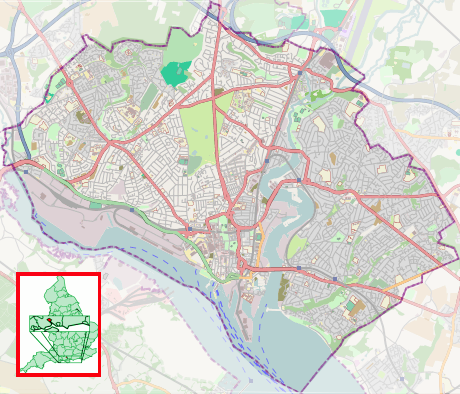 Southampton had an estimated 236,900 people living within the city boundary in the 2011 Census. There are 119,500 males within the city and 117,400 females. The 20–24 age range is the most populous, with an estimated 32,300 people falling in this age range. Next largest is the 25–29 range with 24,700 people and then 30–34 years with 17,800. 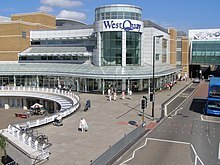 By population, Southampton is the largest monocentric city in the South East England region and the second-largest on the South Coast after Plymouth. 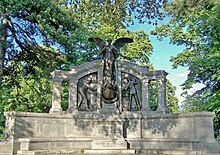 Furthermore, 92.4 per cent of the city's populace were white—including one per cent white Irish—3.8 per cent were South Asian, 1.0 per cent black, 1.3 per cent Chinese or other ethnic groups, and 1.5 per cent were of mixed race. Council figures from 2006 suggested a sizeable Polish population in the city, with estimates as high as 20,000. The city is home or birthplace to a number of contemporary musicians such as R'n'B and garage singer Craig David, Coldplay drummer Will Champion, Voice FM radio presenter Riskology Radcliffe, R.n'B Hip-hop artist Jay Ikwan, former Holloways singer Rob Skipper, 1980s popstar Howard Jones as well as Grammy Award-winning popstar Foxes. The garage scene in Southampton is further championed by the duo Artful Dodger who formed in the city in the late 90's, as well as the UKG, grime and bassline producer, Royal-T, part of the TQD group formed with DJ Q and Flava D. Several active rock and metal bands were formed in Southampton, including Band of Skulls, Bury Tomorrow, Creeper and The Delays. Notable bands who are now defunct include Thomas Tantrum (disbanded in 2011), Kids Can't Fly (disbanded in 2014) and Heart in Hand (dispanded in 2015). 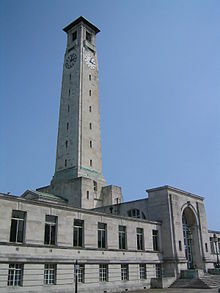 Southampton has two universities, namely the University of Southampton and Southampton Solent University. Together, they have a student population of 40,000. Though students numbers had increased in the 80s, 90s, and upto 2011 they began to reduce due to changes in immigration rules and dropped further after 2016 due to Brexit. Of these, 2,880 are from EU, and the rest are from UK, Asia and Africa. ^ BBC Online (8 June 2007). "Solent Ship Spotting". Retrieved 19 October 2009. ^ Associated British Ports. 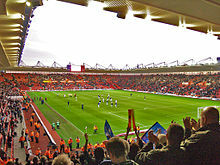 "Southampton VTS – ABP Southampton". Retrieved 28 July 2007. ^ a b c "Population". 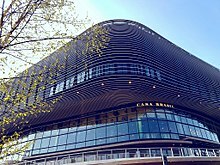 City statistics and research. Southampton SO14 7LY, United Kingdom: Southampton City Council. 3 September 2013. Archived from the original on 31 December 2010. Retrieved 26 September 2013. Population of Southampton Mid Year Estimate 2009, Total: 236,700 ... Source: Office for National Statistics Released 24th June 2010. ^ Gibbons, Thomas (1780-01-01). Memoirs of the Rev. Isaac Watts. Buckland.